It has been a common sentiment among those living with T1D that I talk to that trying something new is a challenge. Physical activity, when not planned, can be difficult. “How do I change my insulin? What do I need to take with me in case my blood glucose goes low? How do I keep my blood glucose from going high? How will this impact my blood glucose for the next 24 hours?” – These are common questions/sentiments that occur when faced with wanting to do something new. 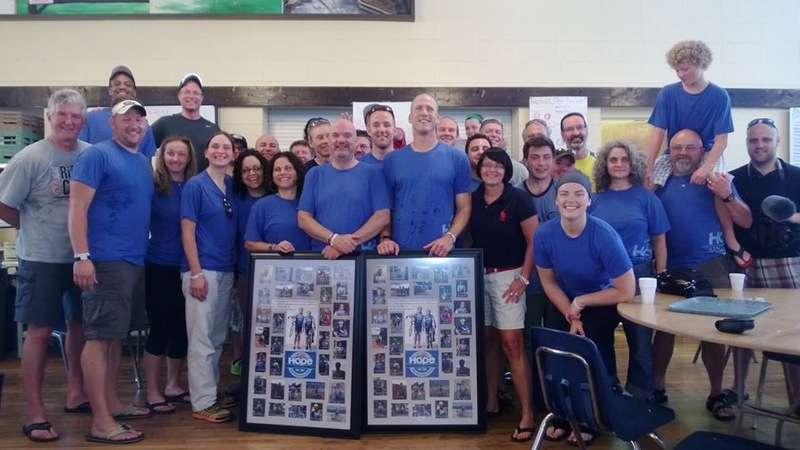 On June 29th, I, with my team mates, faced the “Challenge”. 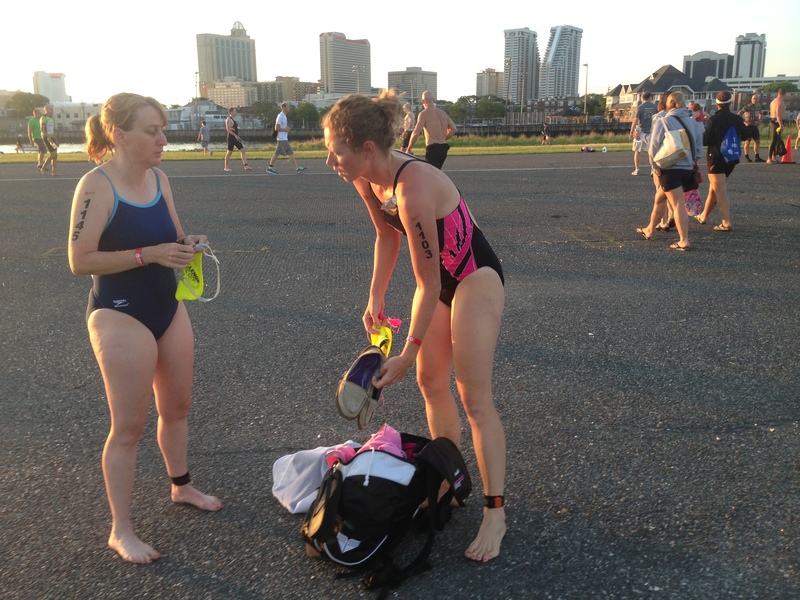 It was something new for both my wife, Breigh, who swam the 2.4 mile first leg, and I. My friend, Zach, has faced many marathon distance races and fared well (if you can be modest and say that sub 3 hour marathons are “faring well”), so we felt pretty confident with him as the anchor. 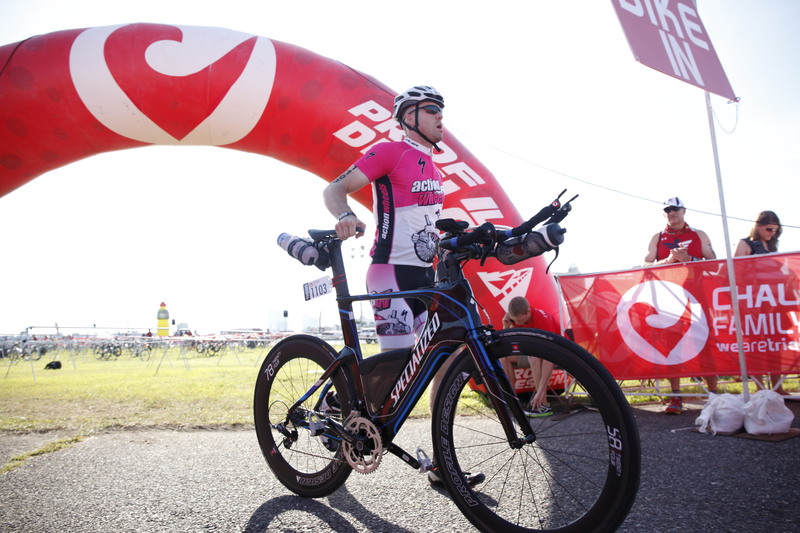 However, as the first time I was facing the 112 mile bike leg of the triathlon, I have to say that I was wondering to myself, “how is this going to go”? I was thrilled to have Breigh and Zach along for the event. It wasn’t perfect, but we did quite well. 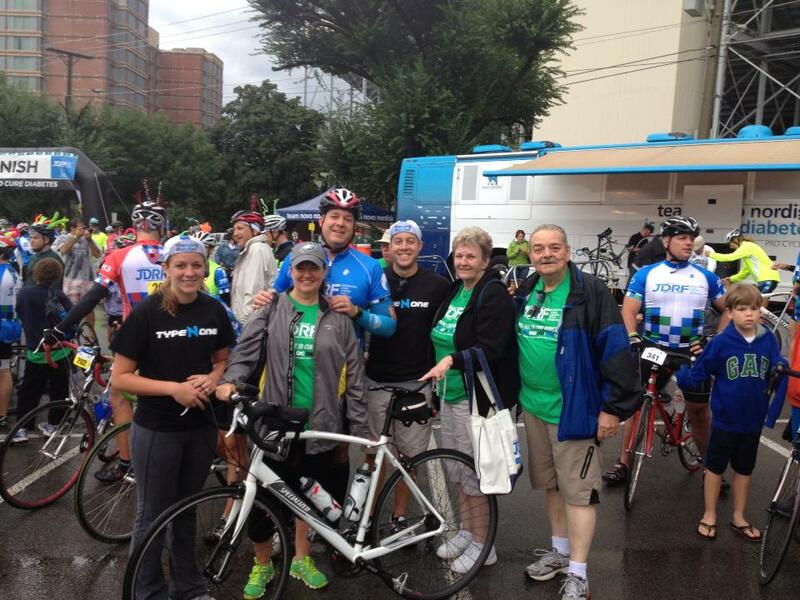 We each put in a significant amount of training preparing for the event. Breigh spent a ton of time swimming in both a local pool as well as open water swims so that she could get both the swim fitness she needed as well as the experience in the bay water. 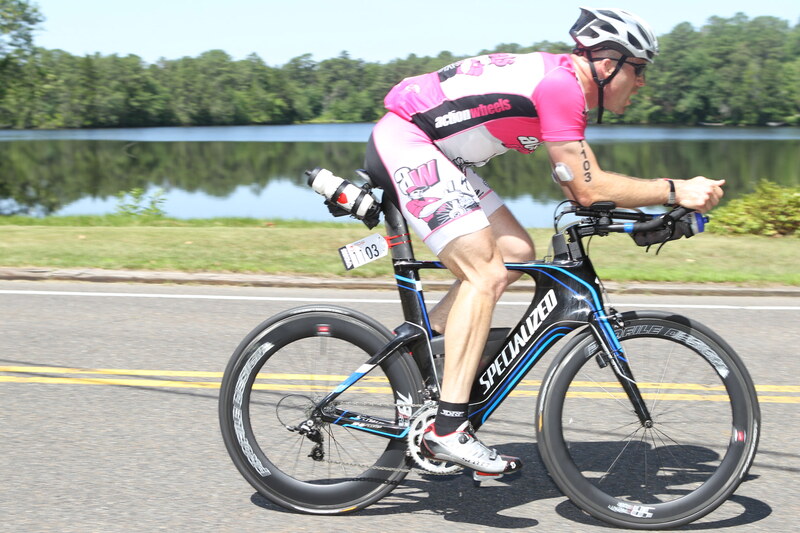 Zach, too, put in the hours, and even with a strained calf muscle, adjusted his training so that he could get in the cardio, albeit on a bike, to maintain the fitness he needed and allow the calf muscle to heal. Hours in the saddle and specific workouts on the bike proved to be successful in preparing me for the almost five and half hours on the bike leg. The results of our efforts came from months of training. We all had ups and downs, successes and failures in our training that prepared us well for race day. What race day items do we need to fix? “Stay to the right” is an instruction that needs to be followed on the bike leg. No exceptions. And instead of taking on the challenge of a 29-30 mile race, next time we’re going to try and stick to the prescribed 26.2 miles. So, we were thrilled with the results! Happy as could be with our end result after months and months of training. I have to thank some folks, because this type of success just doesn’t happen. While this was no world championship, it was a big step for me in my long term fitness and competition goals, and it was a great result for our team. The other Two Ch-Amigos: You gotta have good team mates. It couldn’t be any better to have my wife and best friend along for the ride. Training lasted for months. It was tiring, and I didn’t always want to do it. But when it hurt, and I needed to focus on certain things, there are no better people for me to have giving me the gentle, or not so gentle, push when I need it. Thank you Breigh and Zach, for supporting me and believing in us. THAT was a great time. I hope you had as much fun as I did. My Action Wheels Team Mates: Speaking of team mates……Your support in training (Monday Night Worlds) and kind words meant more to me than you know. Thank You! 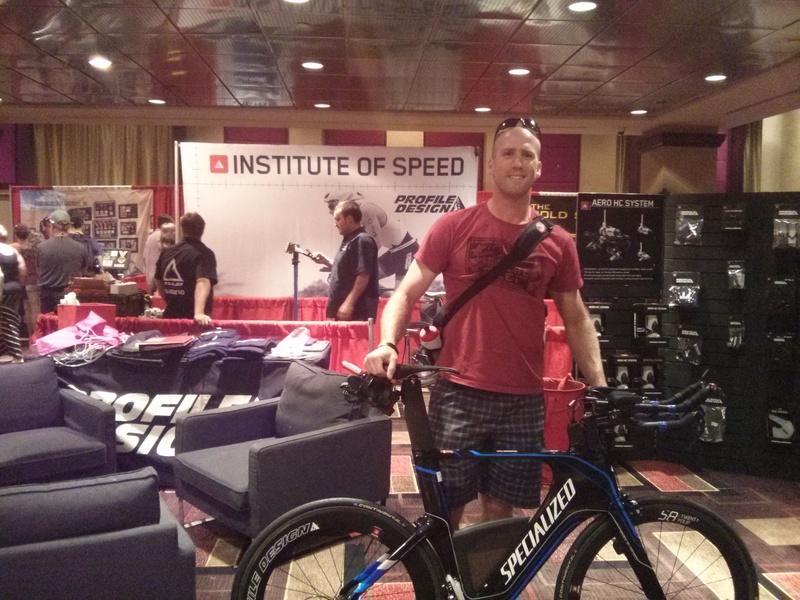 Profile Design: I was able to borrow a nice set of wheels for this event (nice, meaning, they cost more than my Shiv). The Profile Design 58/78 Twenty Four Series carbon clinchers were pretty sweet. 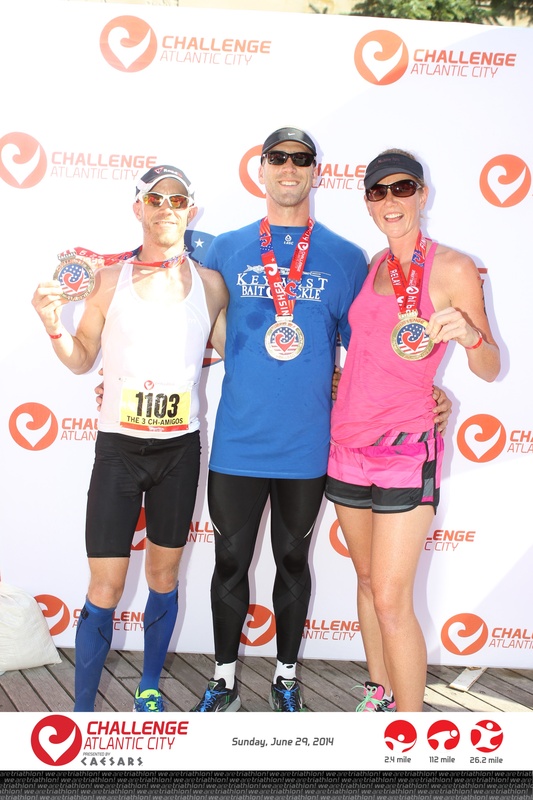 Thanks for the partnership with Challenge, I enjoyed the ride! The day before, after getting the cassette switched over and the wheels put on. Visit: http://www.profile-design.com/profile-design/wheels/twentyfour-series-category if you want to check out the wheels I got to use. 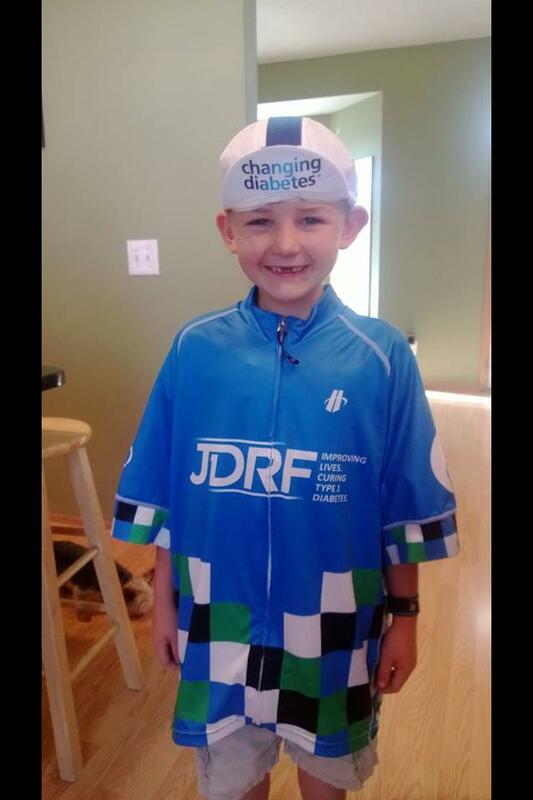 My JDRF Ride to Cure and Riding on Insulin Teams: It is your stories of living with #T1D that motivate me while training and competing. Mostly when I am training, when it hurts and I’m tired. It is the tired look on your face when you’ve been up nights testing your child’s blood glucose. It is the frustration in your voice when you talk about not knowing what changes to make to your insulin to make your daily life easier. My family and have have lived, and do live this life. We understand and hope you see that challenges can be tackled and success can be achieved. So, if you are afraid of trying something new, put together your team and try the beet smoothie. You might hate it, you might not be any good at it, or you might love it and screw it up. However, what if you love it, and want to have it again? Only way to figure it out is to try. Exercise is the most underutilized prescription. Take a step in the direction of your goal and try it. There was a lot of failure in my success. 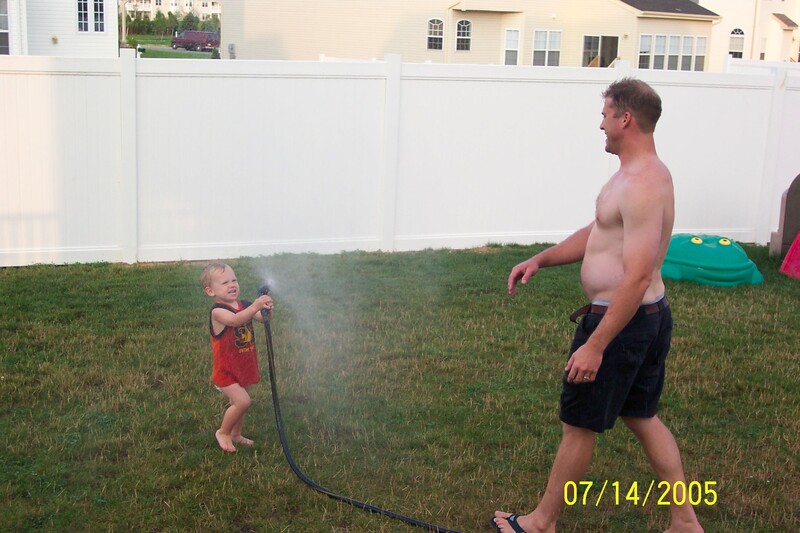 Jake used to be small, I used to have hair, and I was incredibly out of shape. Couldn’t run down the street without having to stop and catch my breath (and try not to throw up). Change is good. The beet smoothie is good. Don’t be scared, “Fear is the mind killer” – Frank Herbert, Dune. Make a change, you might like it. So, what’s next? 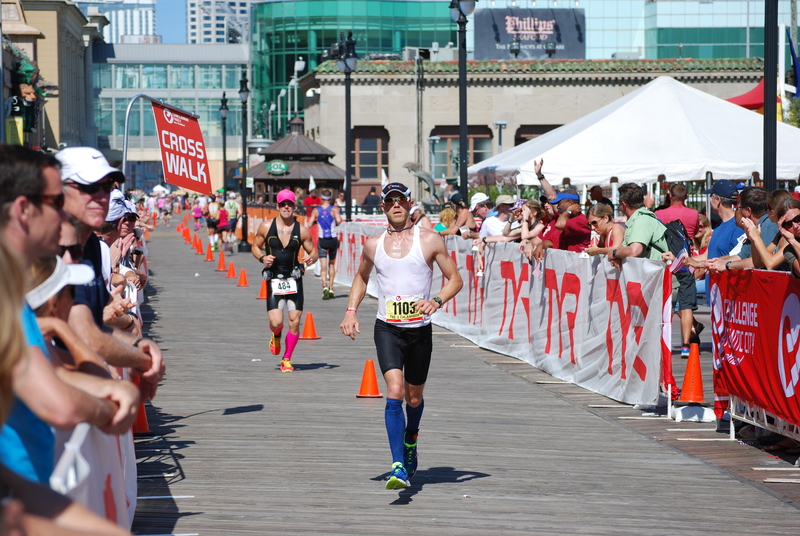 On to the Princeton 1/2 Ironman in September.